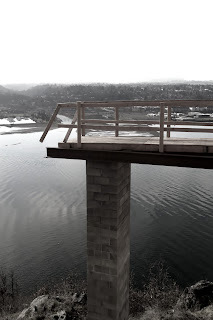 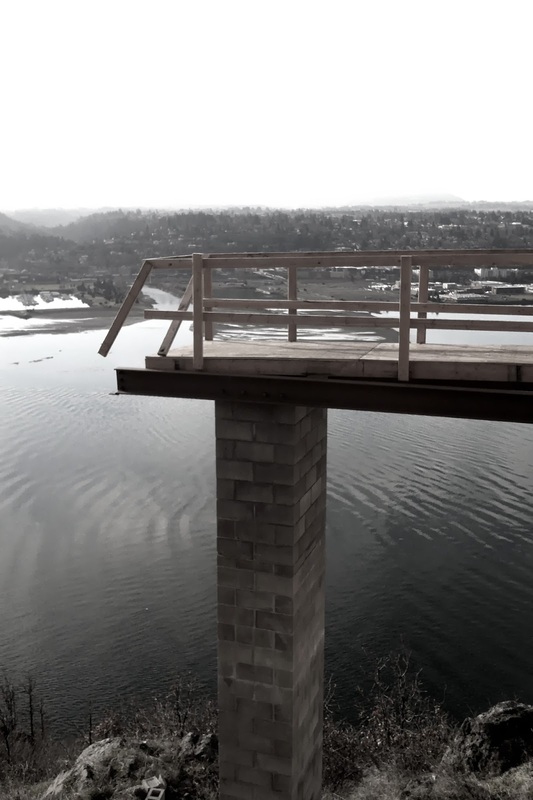 We just received photos from the contractor on site at the Anderson Residence in Goldendale, WA. 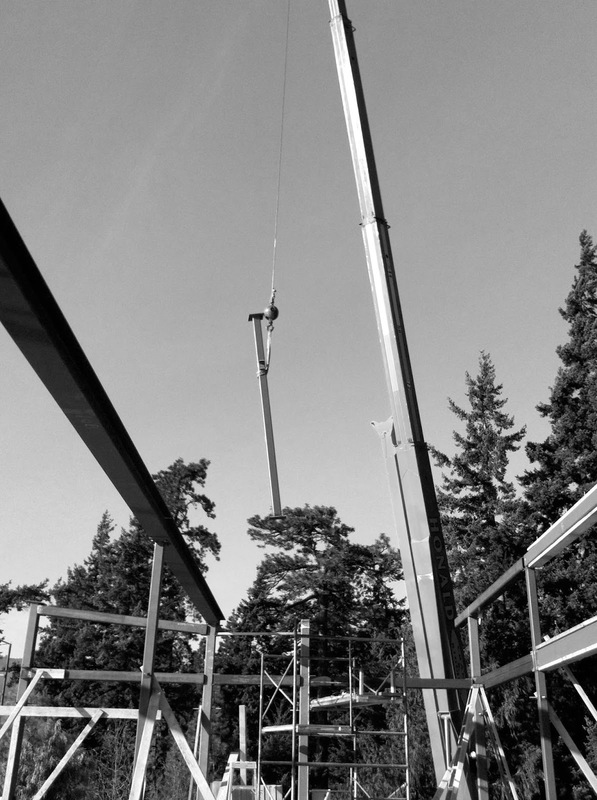 Framing of the house is almost complete, and the structurally insulated panels (SIPs) are being installed on the roof. 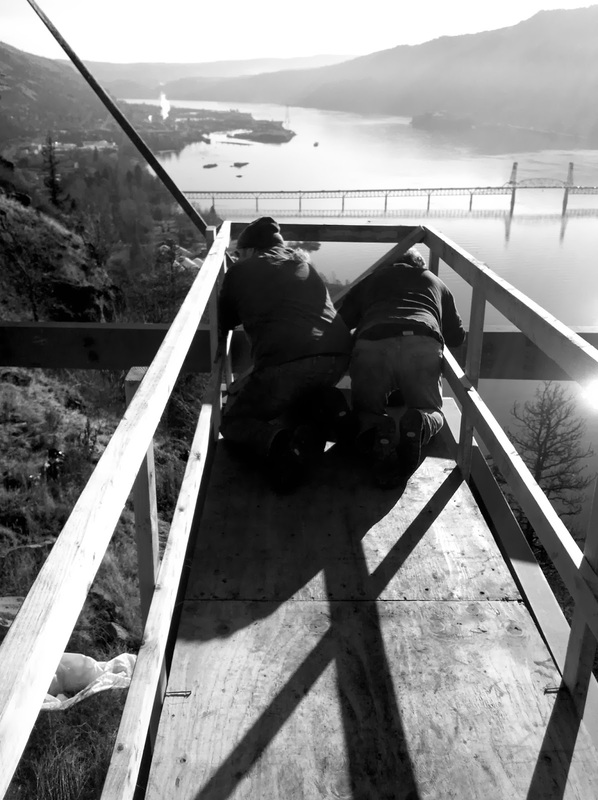 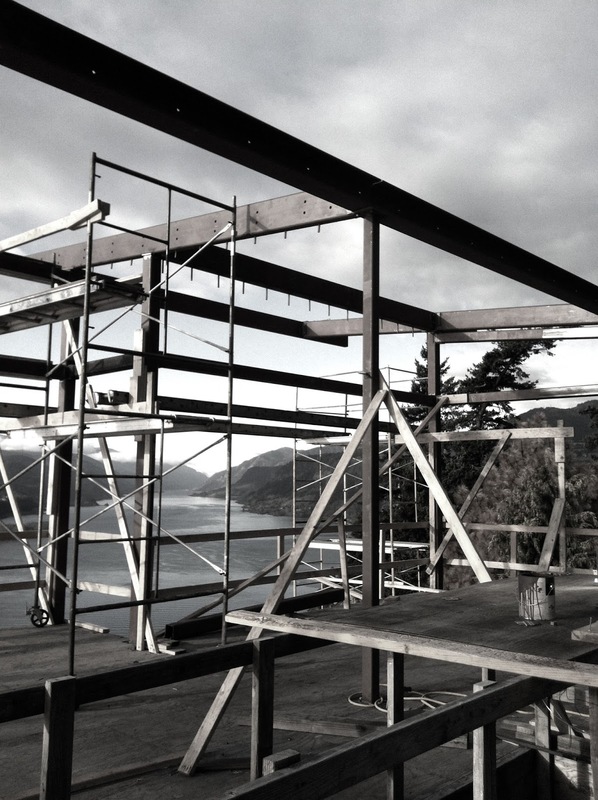 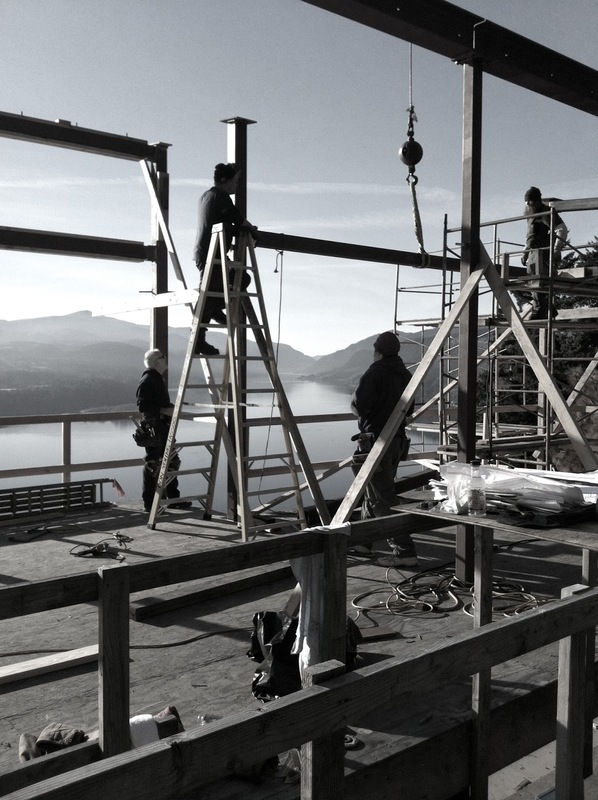 We’re introducing a new project this week in Construction B&W: The Bluff House, White Salmon. 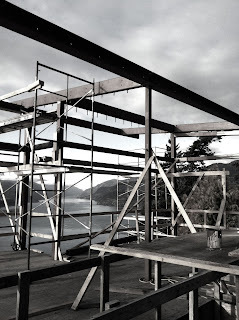 Located in The Gorge, this house sits precariously on the edge of the bluff overlooking the water below. 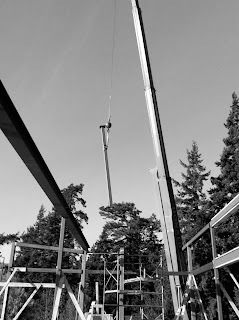 We’ve included some action shots from the contractor, Don Young Associates, of the crew erecting some of the steel members. Take a look!